BBL08 hits the MCG on Monday night with the top of the table Hobart Hurricanes travelling to take on the Melbourne Stars. Check out our preview of the action and book your place in the $150,000 final of the Draftstars Biggest Bash! Australia got off to a great start in the One Day series against India, by winning the opening game. Can they back it up with another win here, or will India hit back to level the series? 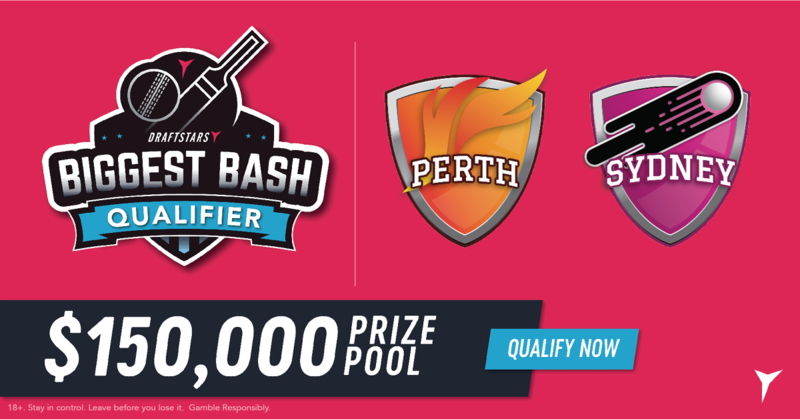 The final game of Sunday's massive BBL08 triple header sees the Perth Scorchers host the Sydney Sixers at Optus Stadium. Get our cheat sheet and thoughts on the match to get the edge over your DFS competition! The Renegades and the Heat do battle again for the second time within a few days on Sunday. Check out our cheat sheet for the match and our favourite batsmen and bowlers to play in the chase for DFS riches! A huge Sunday of BBL08 action kicks off with the Sydney Thunder hosting the Adelaide Strikers at Spotless Stadium. 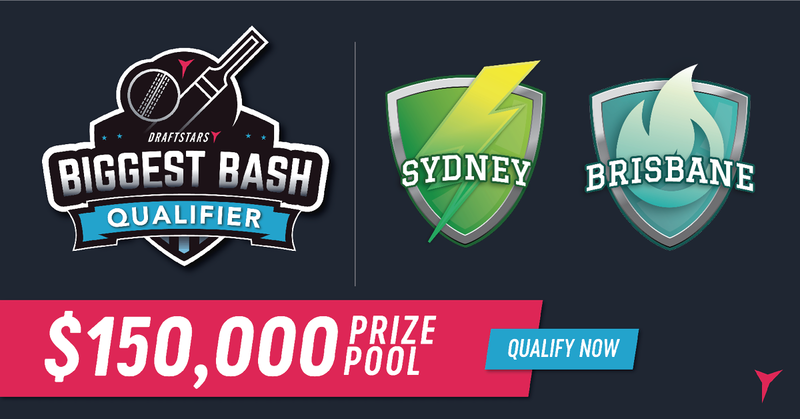 Check out our favourite fantasy plays for the match as we all strive for that next Draftstars Biggest Bash qualifying win! With India winning their first ever Test series in Australia, they will now focus on repeating the feat in the One Day Internationals, starting this Saturday at the legendary SCG. BBL08 on Friday night sees the Adelaide Strikers take on the Melbourne Stars at the Adelaide Oval. With another Draftstars Biggest Bash ticket up for grabs we give you a run down of our favourite plays for DFS glory! 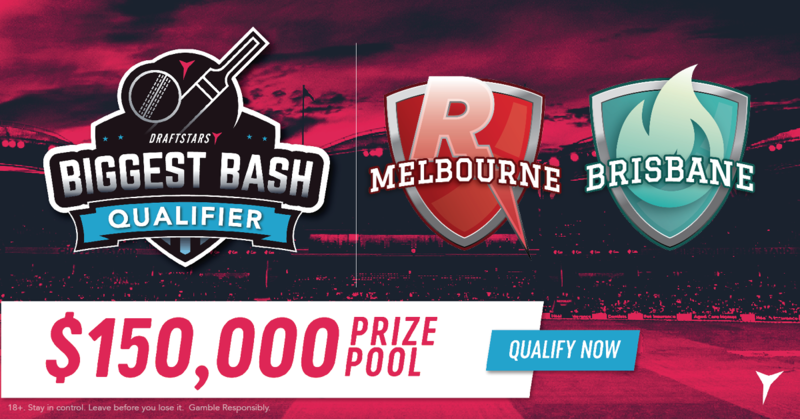 BBL08 makes a long-awaited return to the Gabba on Thursday night where the Brisbane Heat will host the Melbourne Renegades. With plenty of DFS riches on offer, check out preview with a cheat sheet and our favourite plays! BBL08 returns to the MCG on Wednesday night with an in-form Melbourne Stars lineup trying to adjust to the loss of their Australian representatives against a struggling Perth Scorchers outfit. Check out our preview on the crucial match! The Sydney Thunder return to their home ground at Spotless Stadium to host the Brisbane Heat in Tuesday night BBL08 action. Check out our improved cheat sheets and we discuss the key players to consider for your lineups!